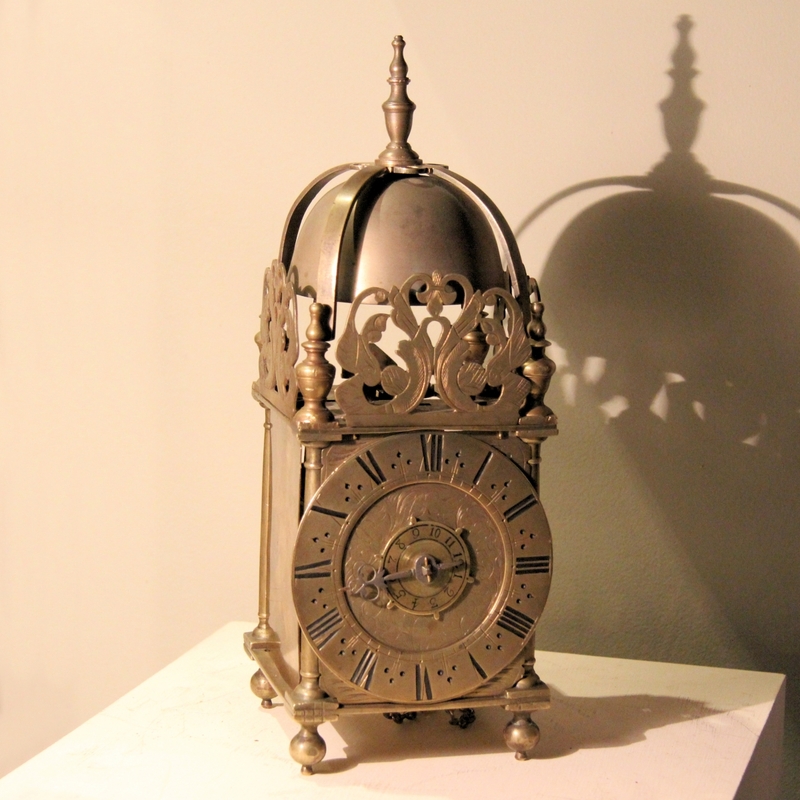 Small striking Lantern clock. English Circa 1690. 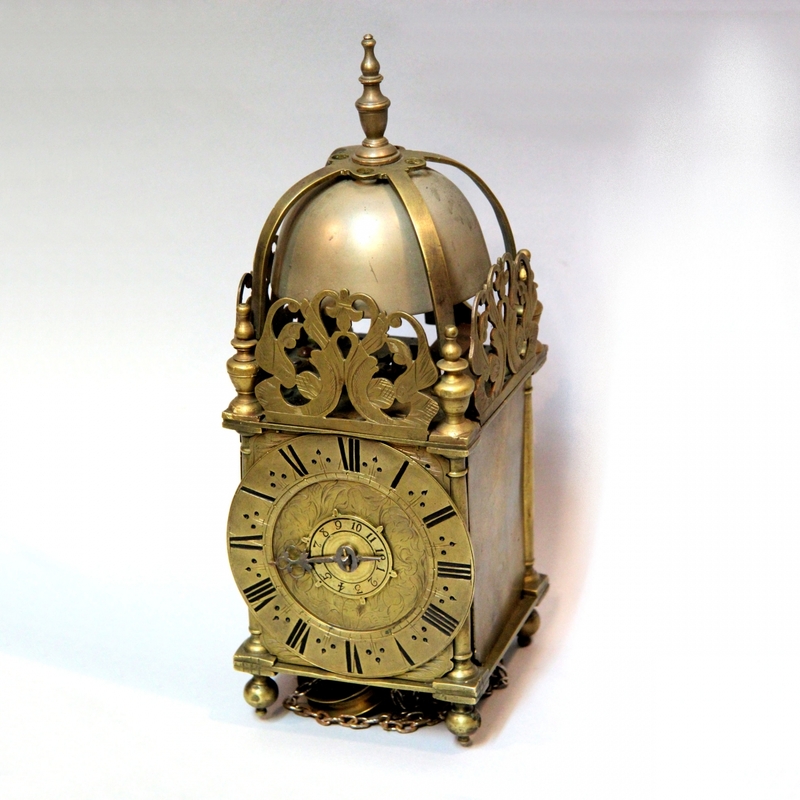 A very pretty, well proportioned and well made three quarter size English Chamber clock. The thirty hour duration movement with short pendulum, rear mounted Verge escapement and countwheel striking the hours on a bell. Also having rear-mounted Alarum work (to be re-instated). The top mounted tuned bell held within a spider that has an elaborated top cross and finial. Held within the four top corner finials in the usual way and having three pierced and engraved 'Foliate' frets. The ringed and tapered pillars, finials and ball feet are assembled using the 'London Sandwich' method. The dial with tulip engraved centre having a small Alarum setting disc with Arabic numerals and the main chapter having Roman hour numerals, Trident half hour markings and an inner quarter ring. The tailed steel hand has light carving. 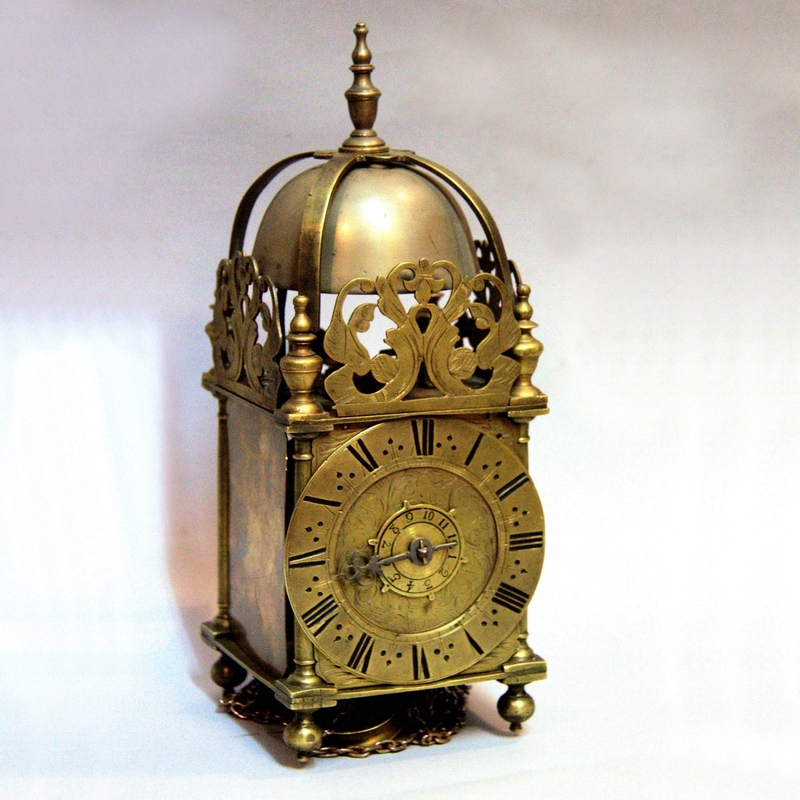 * It is unusual for such a small Lantern clock to have a striking train, usually they were a timepiece only with Alarum work. It is not signed as was so often the case and interestingly, it appears to have almost been a timepiece with Alarum as beneath the striking train are two rope holes positioned for an Alarum sprocket however, they were never used as it was built with a striking train which is without doubt original. The Alarum was then fitted to the iron backplate which has been removed. Everything is made as you would expect and the condition is excellent. 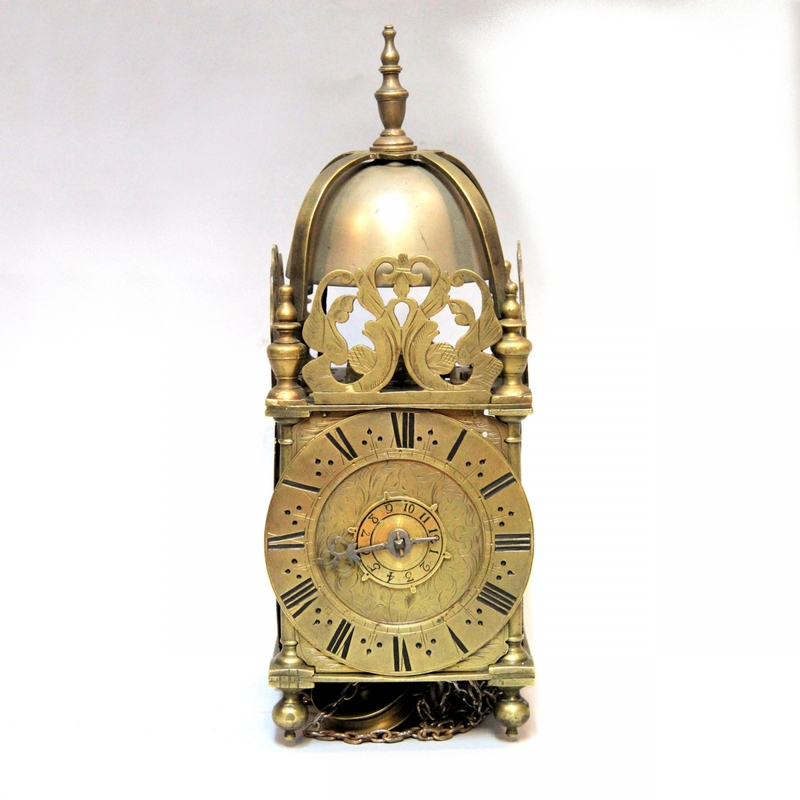 ** These clocks are very rare in original condition and it is important to conserve whatever is original therefore, work carried out to this item will be discussed in detail and beforehand, with the purchaser. Dimensions: Total height 12 1/2" x 4 3/4" x 4 3/4" (three quarter size). Condition: Excellent with historical maintenance. Price: £9,275.00 without Alarum work re-instated.